Is Your Hazardous Waste Labeled Correctly? Properly labeling your hazardous waste materials is one of the most important activities for a compliant waste management regime. From notifying personnel of the dangers involved in dealing with a material, to ensuring your waste management provider is able to handle each material appropriately, labels are crucial for maintaining safe operations. Even minor hazardous waste labeling violations can lead to steep penalties and fines. The EPA is authorized to levy financial penalties of more than $72,000 per violation, per day for any failure to comply with the Resource Conservation and Recovery Act (RCRA), including “simple” labeling mistakes. In 2018, operators of the Grand Coulee Dam in Washington State were assessed a $115,000 penalty by the EPA for violations including mislabeled hazardous waste products. Additionally, in 2017 a hospital in South Carolina was fined $28,000 by the EPA due to a mistake that lead to non-hazardous waste being labeled as hazardous—serving as a reminder that mistakes of any kind can lead to penalties when it comes to strict regulatory adherence for waste management, even when there was never a genuine risk of hazardous waste exposure or release. Given the steep consequences for compliance failure, how do you ensure your facility meets all legal requirements for labeling your hazardous waste? A fully certified and knowledgeable waste management provider is a great source to consult with questions about your facility’s individual operations, but you also need to understand the requirements yourself in order to properly train employees and administrate your facility’s waste management regime. The primary purpose of hazardous waste labels is to notify observers about what material is contained in waste containers, along with alerting them to the attendant regulatory requirements for handling and managing that waste. In order to prepare your facility’s hazardous waste products for transport in any capacity, you’re required to mark or affix labels to each individual waste container that comply with the standards laid out in 49 CFR Part 172. You’re also required to record the accumulation time for the waste material in each individual container. Small quantity generators must include a label that is easily visible for inspection and clearly marks the start date of waste accumulation in the container. While the container is stored on-site, it must be clearly labeled with the words “Hazardous Waste." Large quantity generators must follow the same regulations, but are additionally required to affix compliant labels or markings on all large storage tanks, as well as any smaller portable containers. The same labeling requirements apply to containers used to consolidate or collect hazardous waste throughout your facility, even if those containers will always remain on-site. In that case, containers that are used to accumulate a single waste stream—and are then emptied into larger consolidation containers—may include “Recurring Use” labels that you must update as necessary to accurately track the accumulation times and total storage time limits. 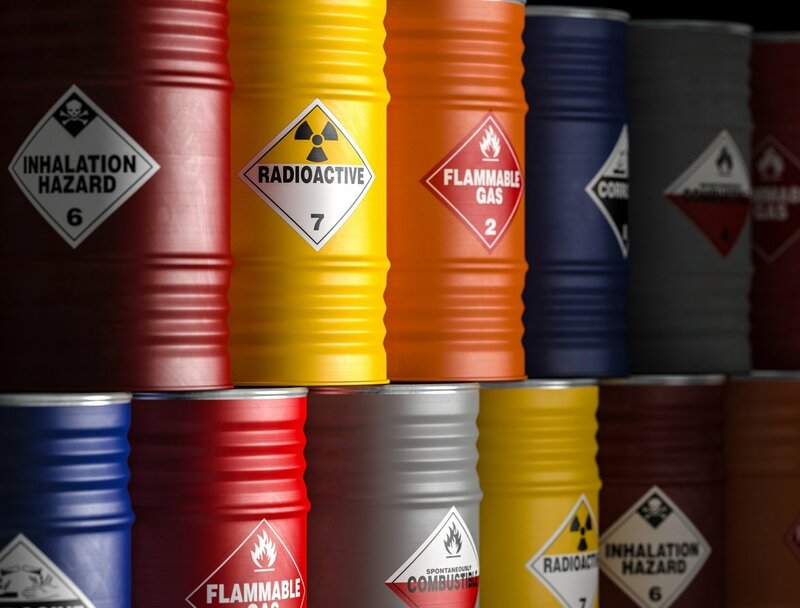 All hazardous waste labeling must include classification codes related to the hazard class or division as defined by the RCRA and subsequent regulations. Once you’ve worked with your waste management provider to determine the hazardous material classification, all containers must be labeled according to column 6 in the Hazardous Materials Table provided by the federal government. 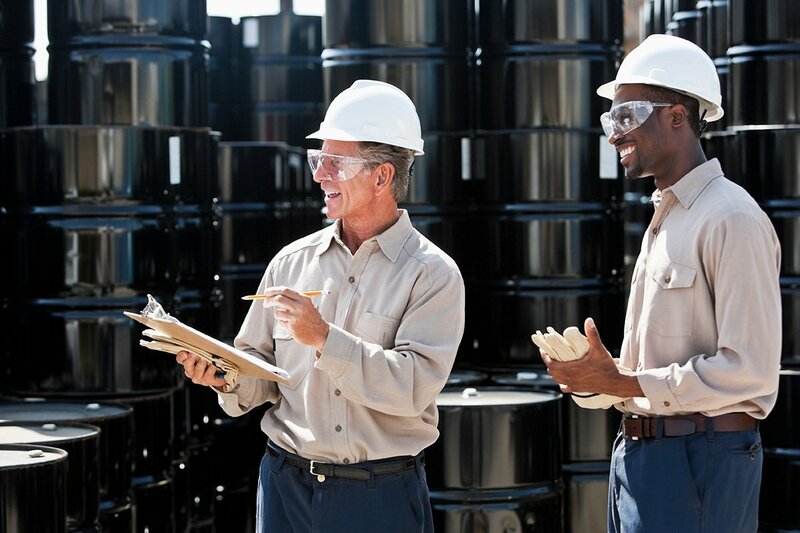 After determining how your facility’s hazardous waste material should be labeled for proper storage and transport, it’s crucial to train all employees and managers to strictly uphold those requirements. Even the smallest lapses in adherence could lead to steep penalties and fines, along with endangering employees and the surrounding environment. Through regular consultation with your waste management provider and clearly understood labeling practices, you can ensure your facility remains safe and compliant, both now and in the future. Stay Up to Date with Hazardous Waste! Find solutions to your hazardous waste problems and compliance training headaches by subscribing to our blog.